There’s a very good reason most Japanese hardware startups fail. Today we sit down with Takuro Yoshida CEO and founder of Logbar, and we dive into the reasons and also go over Logbar’s strategy for avoiding the mistakes that have killed off so many other Japanese IoT startups. 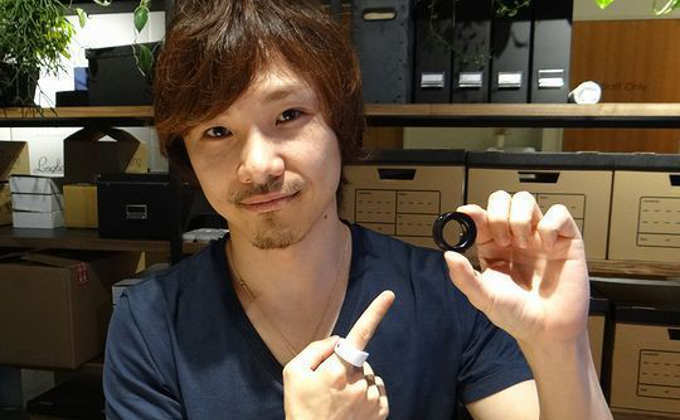 Takuro is the creator of one of the most successful Kickstarter campaigns and two of the most successful IoT projects in Japan, the Ring Zero, which is VR controller in wearable ring form and the ili automatic translator, which is just starting to gain real traction. Of course, we dive into how he managed to create and bring these products to market, and we also talk in detail about Takuro’s unusual journey from professional bartender to successful startup CEO. It’s a great conversation, and I think you’ll really enjoy it. You know. 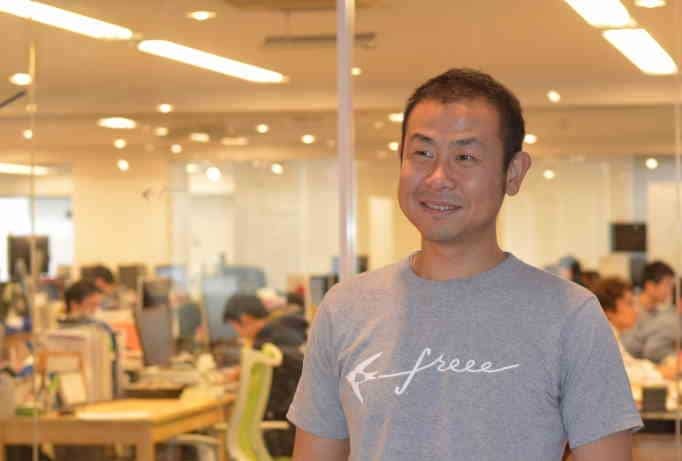 One of the biggest changes I’ve seen in Japanese startups over the last 20 years, in the increasing number that are coming out of Japan’s top universities. I’ve got to say there’s both a positive side and a negative side to the large number of new startups being founded at these universities, particularly at the University of Tokyo. On the positive side, it’s great that so many of Japan’s top students, students who have the option of a fast track career in government or a Japanese industry are choosing to take a risk and start a company. It’s a concrete sign that things really are changing in Japan. However, the fact there there’s been such a large number of founders from the University of Tokyo in particular, shows that in some ways, not that much has changed. The fact is that when Todai ramped up their entrepreneurship program, they brought resources to bear that only they could. Todai students have access to government connections, funding, and industry programs, and alliances that no one else in Japan had. Some founders in Todai rely heavily on these connection, some almost exclusively, and others barely use them at all. 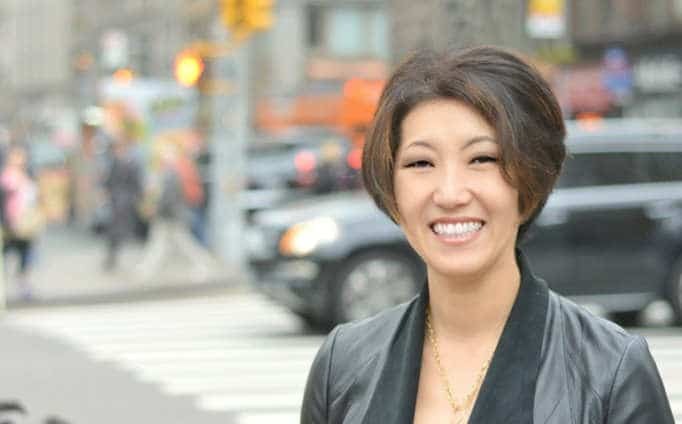 And in the end, of course, outside of a small handful of startups that rely primarily on government investment, all startups will succeed or fail in the same public marketplace. Still, however, sometimes the most inspiring founders are those who come from somewhere you don’t expect, someone who takes an unusual and u likely path to entrepreneurship. And Takuro Yoshida of Logbar is a founder in that mold. When I first met him four, five years ago, he was tending bar and trying to innovate bartending. 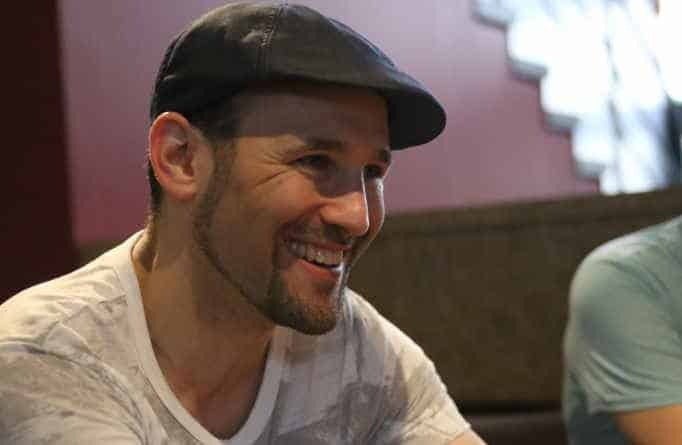 Over the past few years, he and his team have run one of Japan’s largest Kickstarter campaigns and developed, released, and secured national and international distribution for two completely hardware products. And I think you can learn a lot from him. But you know, Takuro tells that story much better than I can. So let’s hear from our sponsor and get right to the interview. Tim: So I’m sitting here with Takuro Yoshida of Logbar, one of Japan’s most creative internet of things startups. So thanks for sitting down with me today. Tim: Logbar has created both The Ring and ili automatic translator. So before we get started, why don’t you just tell me a bit about the company an about your products? Takuro: Okay. So we started our company from since like 2013. Actually, Logbar comes from real bar. Tim: Well, actually, that’s right. The very first time we met, I was running EngineYard and you were running the bar and you just developed a system that would let people order drinks on the iPad. Takuro: Okay. Yeah. We are doing that. That was fun. You can order a cocktail in the bar and then you can communicate with people. Tim: I want to talk about your history in a little bit. But first, tell us about The Ring and tell us about the automatic translator. Takuro: Okay. So Ring, you put in the finger and then if you do the gesture, maybe you can turn on the TV or you can control the music in the app or maybe you can play the game. And so that ring is kind of a gesture control device that we made. Takuro: Yes. You connect with Bluetooth to an app on a smartphone like iPhone or Android and then you can use that. Tim: To control just about anything? Tim: And you also released the ili automatic translator which is a hardware device that translates which languages? Takuro: Japanese, Chinese, and Spanish, and we are supporting Korean too. Tim: Cool. Let’s back up to your bartending days. Tim: That’s bit of a job. What got you interested in programming in startups and side projects? 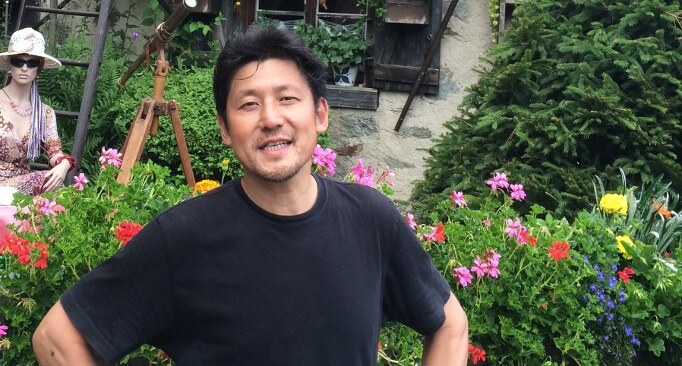 Takuro: Each year, I go visit Silicon Valley because I used to live in there for one year and a half. I was a student. And then after I came back to Japan, I always dream of like, I want to be an engineer or I’m going to make like entrepreneurs in Silicon Valley. So every year, I kind of do the presentation. I make some idea and then presenting to the VC in Silicon Valley. But most of the time it doesn’t work. It didn’t work, yeah. But I always challenge that. Tim: What kind of ideas did you have before Ring and before ili? What were the ideas that didn’t work out? Takuro: Before, I had a girlfriend. I lived in New York and then my girlfriend is in Japan. So it’s a long relationship, right? So I made web services. It’s like Facebook or MySpace.com but only for two people. Only me and girlfriend. So that’s a kind of SNS like social network service I built. It was great. In Japan, I got some users but in the US, none. It’s kind of hard to get it. So that is the one idea. And then next one is like a Twitter, like one sentence each time and then you can communicate with random people, something like that. So I kind of made some web services mainly focusing on communication. Tim: You were saying you were talking to VCs and making these presentations and not getting a lot of success that way. But when you started Ring in 2014, you didn’t use a VC money. You ran one of the most successful Kickstarter campaigns. So before Kickstarter, was this an idea the VCs rejected? Takuro: Before the Kickstarter, we raised some angel fund. It’s not that big amount but amount that is enough for making prototype. And then after we made the prototype, almost ready for the mass production, we started Kickstarter and then we could raise the money for the mass production. Tim: Okay. So the Kickstarter was a combination of fundraising and marketing? Tim: I mean, you raised over $800,000 on that campaign but the production didn’t go as smoothly as you expected. Tim: What happened during production? Takuro: Hardware is kind of hard to mass produce always. One change takes some time, two or three months. So at that time, we were expecting to ship it maybe July but we shipped there like October. So three months late. Tim: By Kickstarted standard, that not too bad. Takuro: It’s not too bad actually, yeah. Tim: Were the delays caused just because this was your first time building a hardware or was there any particular problem you ran into? Takuro: I think that was because maybe we have lack of experience with making hardware because I’m the first time to actually build the hardware that time. So we couldn’t know the risk each time. If I do this, maybe it takes more time or something like that. I don’t know. Tim: Did you do the manufacturing here or in China? Takuro: We did the Ring in Japan, actually. Tim: So all the manufacturing local? Takuro: Yes. So made in Japan everything, yes. Tim: Actually, that should reduce a lot of the risk. A lot of the problems that other founders have had with hardware have been dealing with suppliers and quality control issues. What advice would you have for other hardware startup founders or other internet of things founders so they can avoid these kind of delays? Takuro: I think to avoid the delay, you need to experience the hardware. So we have to trust the factory all the time. The factory, our partner, it’s not their fault actually. Takuro: Always our fault, most of the time. I always say, “I want to do this. I want to add new function.” And then they said, “Okay. But it takes time. Is that okay for you?” We always try to improve the hardware. Tim: Okay. For a software startup, development cycle might be one week. You’re doing weekly sprints. You might have monthly and quarterly goals but your basic cycle is a week. Tim: For hardware startup, we are dealing with factory. What’s the ideal cycle time? Takuro: To make the prototype, usually takes three or four months. And then we have to make maybe two or three times the prototype. And then if we’re satisfied with the prototype, then we’re going to make final prototype, and then mold. And then mold takes about one or two months. Tim: Basically, three-month cycles during developments and then six months to one year cycles during production. Takuro: In production, maybe yes. Tim: I remember when the Ring was first released, you got a lot of attention both overseas and in Japan as well, you had a distribution partnership with Elecom. Was most of the early interest from overseas or was it in Japan? Takuro: Actually, most of the interest is from the US and also Japan. Tim: Your first wave of sales was all Kickstarter-driven? Tim: So after that, after your big Kickstarter success, what was your main driver of sales? Takuro: After that, actually, we couldn’t get much attention for the Ring. It was great for the early adaptors. But no more consumers, Ring is kind of hard to get the attention. Tim: Why is this? I think both Ring as a particular product and as a concept is really good. It seems like a ring would a very natural VR controller. It would have uses in sort of medical and tracking situations. But these kind of devices haven’t really caught on anywhere in the world. Takuro: One reason is like, we have a smartphone and then maybe we have smartwatch. But smartwatch doesn’t get much attention because of iPhone or Android, right? Takuro: We already can do everything most of the time in the iPhone. Tim: I mean, the iPhone was the most successful consumer device in history. It totally changed the way we interact with the world the iWatch or smartwatches in general, it’s just kind of an extension of the phone. But the Ring, it’s an input device. It’s a controller. It’s something that’s different. Has the problem been that’s just we’re still waiting for that killer app or their technology limitations? Tim: But it seems like for example, the VR controllers have gone in the other direction. They’re becoming very complex devices, where ring-type devices are extremely simple. What do you think would be the perfect application for ring devices? Takuro: Maybe for the payment. Takuro: Yes. Payment or maybe voice recognition is one of the great function. The first time I saw the Ring, I want to make communication smoother. If you have a ring and I have a ring, and then if we do some gesture, maybe you can feel this vibration or something. Takuro: Then when you are walking or when you’re studying something and then you can communicate direct to the partners or something. Tim: That’s interesting. So I was viewing the Ring as a very simple input device, and your vision is more of a two-way general communication device. Tim: So sort of iPhone a little more reduced would be the iWatch and then a little more reduced is the Ring? Takuro: Yeah. That was our first idea. But when we sell that only function, sometimes doesn’t have. Tim: Well, that’s the hard thing. Any new product hardware or software, it seems attention spans are short. Tim: And it’s almost like you have to say this product solves this one specific problem. Takuro: The Ring is very interesting. I really like it but not most of the people need it. It’s interesting but do you need it? Maybe not. Tim: What’s the future of the Ring? Are we going to have a version 2? I guess if Ring 0 is the first one we have Ring 1 or? Takuro: We will but not soon. Maybe within 5 years of 10 years. Tim: So when did you decide to put aside the ring and focus on the ili hardware translator? Takuro: We started developing ili since two years ago, two years and maybe half. Tim: They seem like very different products requiring very different technologies. Takuro: Yeah. I thought the Ring is very simple. Just gesture, that’s it. But when people use it, it’s not. It’s still very complicated. Tim: I’ve used it. It takes some practice. If you spend the time and really work on just moving your finger, it works. Takuro: It works, yeah. So people worry about Bluetooth connection and gesture recognition. They have to worry about two things. So I thought about okay, I don’t want to use anymore Bluetooth or WiFi or those kind of internet connection. So okay, I want to make something that don’t need WiFi. And then I was thinking when I went to the US first time, I couldn’t speak English at all. I studied English five years but still my pronunciation is not good. And then maybe I want to make something like a translator. Tim: It was the same idea of building something that you were excited about using? Tim: The same core motivation? Takuro: Same core motivation. That is what I want to have but I was just looking around. Is there any translator existing? Tim: It’s a tiny device and it’s self-contained. It doesn’t need an internet or WiFi connection to work, right? Tim: Cool. How have sales been? Are people using it? Takuro: Yes. A lot of hotel, rental car in Hawaii is already using ili. We just started the enterprise version two months ago or something. Already, a lot of people are using it in Hawaii. Tim: About how many different businesses are using it? Takuro: Actually, we aren’t disclosing that number but we actually got more than 500 app from all over the world. We cannot get everybody. And then we are focusing on Hawaii, Tokyo, and Okinawa. We pick the place that we can want efficiently. Tim: Do you have to customize the translation software for each application? So for example, do you have to develop custom libraries for rental cars and then different one for hotels? Takuro: Yeah. So we’re only offering enterprise version that comes with a customized function. Each company, for a Grab rental car company, we customize for them so that the staff can use. And then also, they rent ili to the customers. Tim: Okay. That seems like very different types of applications. So if you’re on the enterprise side, if you’re doing a deal with a car rental service, that’s a very controlled environment. There is going to be 50 to 100 question that people will typically ask. But it seems like if you give the device to a tourist and just set them loose, there are unlimited potential questions. So what’s the feedback been like from the consumer level? 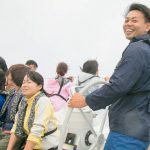 Takuro: We’re actually focusing like eating, like shopping, like asking directions or maybe leisure travel, five or six situations that most likely they have. But sometimes customers didn’t know about this is only for travel. So maybe sometimes they try to use in this business discussion. It’s not for that kind of medical terms or business situation but just for travel. Takuro: Yeah. They use very simple phrase like, “How much is this? Can you make a discount? I don’t need a spicy food. Please give me cucumber or something.” That’s enough. Tim: But language software, are you licensing the software from another company? Is this something you developed yourself? Takuro: Actually we are partner with Japanese government backed up research institute. We kind of like developing the library together. Tim: Excellent. Is it a natural language processing or is it simply a phrase recognition? Takuro: It’s natural phrases. Like you use sometimes maybe in Siri, the same system. Tim: Fantastic. What does it cost? Takuro: Well, the enterprise version, we offer $39 per month. Tim: Since the device is for travelers, the idea is that no one will really buy one for themselves. They might rent it for a few days while they’re on vacation. Takuro: Yeah. But in the US and in China, we started pre-order for the consumer product already. So actually, you can buy. We’re going to start the shipping of the pre-order product this October. But we haven’t sold in Japan yet. We are selling only outside of Japan. Tim: Well, I’m sure up until the 2020 Tokyo Olympics, that’s going to be a very big market in Japan. All tourism is ramping up. In the future, do you see the biggest competition for this being smartphone apps? Because everyone’s got a smartphone. They’ve got a tremendous amount of processing power and it’s hard to compete with that as a hardware platform. Takuro: Yes. People always ask me what about Google Translate and Android. But actually, I don’t feel like that is the competitors. Our biggest competitor is that you have no custom to use the translator. Maybe you can use the smartphone but we always ask, “Have we ever used translator actually direct person?” People say no. Why? And then they said, “This kind of communication is hard to do” or they had no habit to use translator. Tim: So your real core advantage there is the ease of use because it’s a dedicated device with a button on it and the fact that you’ll have partners that will be introducing the device directly to a consumer? Takuro: Yeah. But still, even that is so simple since they have no habit to use it. So we have to tell them how to use it and what kind of situations they can use it. Tim: The design of your product does make it a bit easier because it’s kind of like a microphone in that people, they get the idea of you speak into it, talks. You let the other person speak into it, it can answer. Tim: I do want to talk about one big and perhaps shocking experience you had when you first rolled this out. So when you first started publicizing ili, you created this viral video. Tim: It was a video of a Western guy using ili to talk to and try to kiss Japanese girls. Takuro: That’s great. I think we got a lot of attention. But some people criticize about that is not good at you. But that is totally advertisement, not real situation though. Tim: Obviously. It was all actors and actresses. Of course. But the reaction overseas was very negative. Were you trying to make a controversial video or were you surprised by that reaction? Takuro: When we think about marketing, we have two option, try to keep it safe or maybe we got attention but maybe negative. It’s always hard to think about. At that time, we need a lot of attention and then we wanted to know real function, not only translation. People always say, “How accurate is it?” But it’s not important, actually. If you can communicate with people, then that is ili, not translator, maybe tool for making friends. So that is kind of like our first mind. Tim: Was your goal to make a controversial video? Were you hoping to get that attention from the beginning? Tim: Right. Like they said, there’s no such thing as bad publicity. Takuro: In the future, maybe we try to make a lot of movies. We’ve already made something like it’s not boring. Tim: Was the reaction to the video in Japan the same way or did people not care as much? Takuro: Japanese people didn’t thought about that as bad one. Tim: That was my sense, too. The Japanese I talk to thought it was a cute idea. Takuro: Yeah. I think so. Tim: So what’s the future of Logbar? Are you going to be just focusing on ili and maybe bringing the Ring back or do you have ideas for new products in the works? Takuro: I feel ili is very innovative product. I haven’t thinking about another product yet because ili, we got a lot attention. It’s much, much higher than when we made Ring. So I feel we have to spread this ili all over the world. Not only in Japan, not only the US, maybe China, Taiwan, France. Tim: So Logbar is 100% ili right now? Tim: Let’s talk about Japan in general. Japan, not too long ago, 30 years ago or so, was unquestionably the world’s leading innovator in hardware. But with the internet of things, even in hardware — software is becoming just as important as the physical hardware, do you think Japan has fallen behind? Tim: So more visionaries and product people? Takuro: Then Japan get more we can make. Tim: I think over the last 5 to 10 years, with so much funding available to startups, a lot of these engineers can go out and do what you did. Look for funding and look for partners and look for venture. Are we seeing more and more interesting hardware coming out of Japan now? Takuro: I don’t think so. Tim: No? What’s holding it back? Takuro: About two or three years ago, maybe making the hardware is kind of like a boom but they faced that it cost money and it takes time. So some people tried but they already gave up. Tim: Well, that’s what happened with you and the Ring too, the first product. Takuro: Yeah. So people always didn’t know how might that cost. They have idea sometimes but they face the reality, most people cannot take that reality. We are lucky because we have a Kickstarter and then before the Kickstarter, I made a movie, promotion movie and then we get a lot of contact from this chips company. We are lucky but most of them cannot get enough funding. Tim: So is it that the investors in Japan don’t want to invest on hardware startups? Tim: So what do you think is the solution for this is? Because I know there’s a lot of really talented engineers in Japan and there are a lot of people with really good ideas. So if VCs want to invest, do you see crowdfunding increasing here? Takuro: No. I think crowdfunding is not increasing. Maybe stay same, I feel. Tim: You think things will pretty much stay the same? Tim: And hardware startups in Japan are going to be struggling? Takuro: Yeah. Because they don’t invest he idea anymore. Before like two or three years ago, they invest only just the idea. But after they got experience that some idea doesn’t comes out, and then they feel risk. So maybe after they started mass production, maybe they’re going to buy it. Tim: But there’s an awfully big gap between first prototype and mass production? Tim: So what would be your advice to a smart engineer with a good hardware idea in Japan? What should they do? Takuro: I don’t know. What I always do is I make a movie first. Because I want for people to know if you will have this device, this kind of future, you will experience. And then we can get a lot of good review and good engineers because they saw that movie. That was always I do. I don’t know that works in another person or not. But if they have idea, maybe they can make a feature first and then just spread to the people. Tim: I think that makes a lot of sense. I mean, it’s the same basic idea of a minimum viable product. With software, it’s easy to mock something up. But I guess a hardware, it’s better to show the vision as a video of people using it. Takuro: Yeah. Sometimes, after you made a movie, maybe you cannot make the product but if you focus 100%, maybe you will cross to that future, right? Tim: Yeah. But it’s much cheaper and much faster to make a movie than to make a prototype. Tim: Excellent. Well, listen, before we wrap up, I want to ask you what I call my magic wand question. That is, if I gave you a magic wand, and I said that you could change one thing about Japan, anything at all, the education system, the way people think about risk, the legal system, anything at all to make it better for startups in Japan, what would you change? Takuro: I think we need one big hero. Takuro: Yeah. I think that is only one thing we need. It’s like people who always making new things and then people always like, “Oh, I want to be like him.” That is kind of we are lack of in Japan. Tim: What about people like Mikitani or Son or past generation like Morita, those kind of people? Takuro: Yeah, those kind of people are very smart. It’s kind of like people need in Japan is more like a hero. I feel like in the US, they have Elon Musk, they got Steve Jobs, right? Like a hero. In Japan, some people are great but they are good at managing the business, most of them. Tim: Okay. So Son-san, Mikitani-san, everyone, they’re brilliant businessmen. Tim: But they’re not visionaries? Takuro: So before, we have Sony, right? And then they made the Walkman. That is like one product makes all the change. That was famous in that age. So I think in japan, we also need somebody who can make a lot of people use and then, “I want to make that kind of product. I want to be like him.” Then our situation totally change, I feel. Tim: Do you think it’s just a matter of time before that kind of person emerges? Tim: Because those kids of people, let’s face it. They’re pretty rare. I mean, we have like Elon Musk or Steve Jobs or Richard Branson or Morita from Sony a generation ago, but there only seem to be five or six of those people in the world at any given time. So do you think it’s just a matter of time before it’s Japan’s turn? Tim: I think so too. Well, listen, Taku, thanks so much for sitting down with me. Takuro: Yeah. Nice to talk to you. Man, you really have to admire Takuro’s dedication. The man kept trying project after project until he created something that got traction and then he went all out on it. His experience with the Ring 0 was interesting. It was roundly rejected by investors but it turned out to be one of the most popular Kickstarter projects from a Japanese maker. Ultimately though, the Ring ran into the same problem that plagues so many hardware startups in Japan and around the world for that matter. It’s extremely difficult to move from producing thousands of units to producing tens of thousands or hundreds of thousands of units. That takes significantly more capital and a lot more supply chain management expertise. And in a self-fulfilling prophecy kind of way, I think that’s one of the main reasons a lot of Japanese investors stay away from hardware startups. Logbar’s decision to develop a business model based on B2B sales and rentals is a good approach to bypassing this hardware startup valley of death. They look like they’ve got a good chance of making it work and we’ll be keeping a close eye on them from now on. If you’ve got a story about making or using internet of things hardware, Takuro and I would love to hear from you. 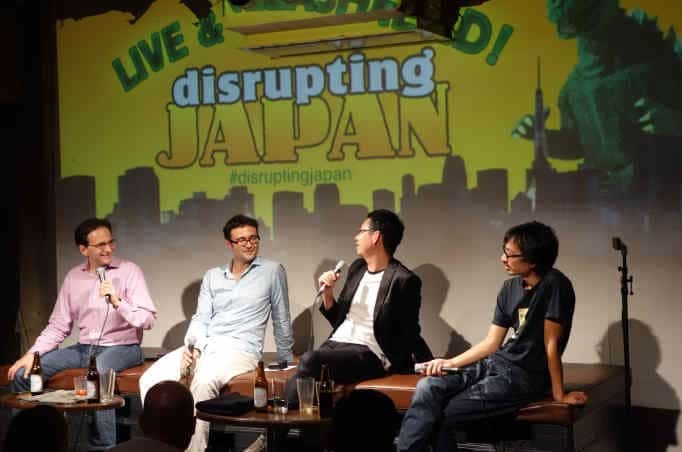 So come by DisruptingJapan.com/show103, and tell us about it. 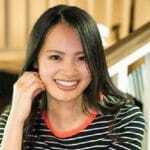 And when you drop by the site, you’ll see the links and notes that Takuro and I talked about and much, much more in the resources section of the post. And hey, I know you’ve been meaning to do this for a while now. But when you get the chance, please leave us an honest review on iTunes. It’s really the best way you can support the show and help us get the word out.